We recently met with a few of our global customers as well as prospective clients, and we were able to gain a great deal of insight regarding one of the most talked about topics, segregation of duties. Some of the companies say that segregation of duties is only for the auditors, while some companies understand the importance of enforcing the rules over user authorizations. A few have taken it to the next level and expand it to other areas in order to create business continuity. 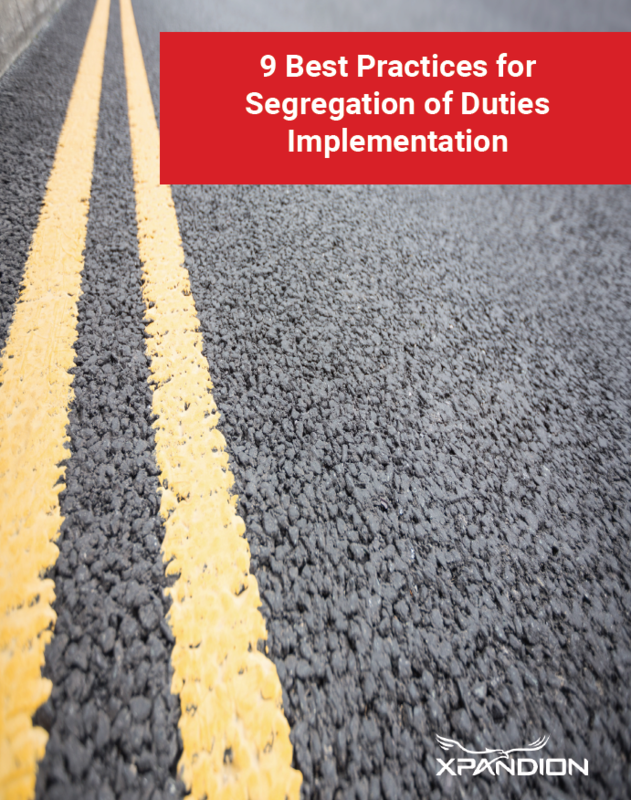 Download your free copy to learn more about how to implement your own segregation of duties process. I consent to receiving information from Xpandion about its products, news, blogs and events. I understand I may unsubscribe at any time.